We are license breeders of Capuchin,Squirrel,Spider and Marmoset monkeys. Also available are Ring tailed lemurs and Chimps. 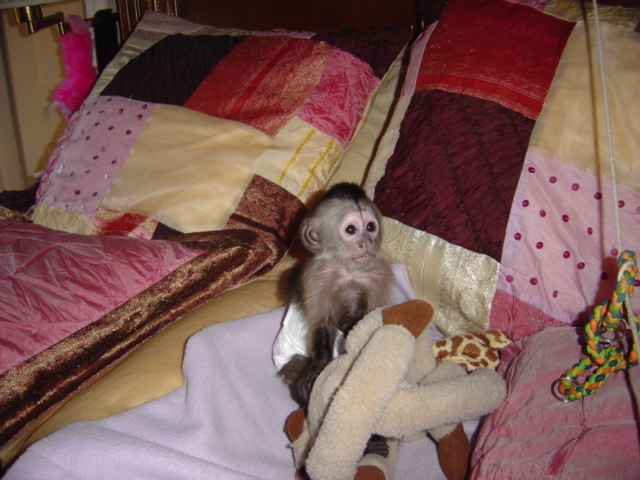 All our monkeys are tamed,home raised,hand fed,very docile and sociable and likes to play with people and other home pets. All our monkeys are very healthy and vaccinated and W .